One of the largest science festivals in the United States is coming to Petco Park on Saturday for the 10th year in a row. More than 26,000 people are expected to attend the San Diego Festival of Science & Engineering to experience hands-on exhibits that include the Air Force’s Rapid Strike Simulator, the Curiosity Cube inside a shipping container, science demonstrations on two main stages, and numerous display booths. 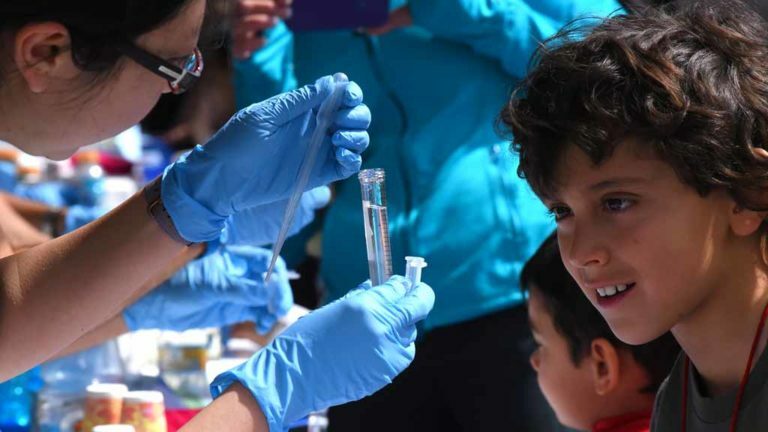 The festival is designed to encourage and engage children and adults in science, technology, engineering and math education — better known as STEM — and to increase the San Diego region’s reputation for being a leader in the science industry. The free event takes place from 10 a.m. to 5 p.m. Parking is available at numerous lots in the East Village. Food is available for purchase. The expo is the beginning of a week-long series of events presented by the Illumina Foundation and the Biocom Institute.